I almost gave up on figs, but all three trees are going crazy this year. I bought a treadmill desk yesterday. I’d been wanting one and talked myself out of it for years (expensive, unattractive, Mark’s sardonic smile), but my lower back and legs now ache so much when I sit for long periods that I can’t write, read, or research coconut sugar for as many hours per day as I want to. One solution was to pursue another line of work and find new hobbies. I ordered the desk. It should be here in a few weeks. I can not wait. The coconut sugar has been fairly unexciting. 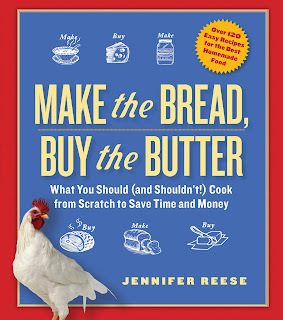 I used it in vanilla ice cream that tasted like ordinary vanilla ice cream. I put it in this Bon Appetit kale and tiger celery salad, which turned out to be one of those lean, acidic, Asian-style salads full of fish sauce and herbs with just a bit of (coconut) sugar for balance. If you like that kind of salad, you’ll love this and if you eat it every day, you’ll live forever. I used coconut sugar instead of cane sugar in cornbread. No one could tell. See? Boring. The other night at dinner Owen was wolfing down his food (vadouvan mac n’ cheese), scooping it up rapidly, face almost on the plate, which means he really likes it. I started worrying that he’ll eat this way at a job interview or on a date one day and it will be my fault. This led to a reprimand which led to Owen moving his face even closer to the plate, like a dog, which led to Isabel, a poised and dainty eater, leaving the table in disgust and returning to her room, probably to work on applications to colleges as far away from home as possible. Family dinner, the teenagers edition. The right caption eludes me. I started cleaning the kitchen and worrying that once Isabel goes to college she won’t even fly home for Christmas, she’ll be so relieved to be gone. At some point she came down to rinse out her hot chocolate mug and I said to her and Mark, “Are other families like this? I think we’re really dysfunctional, all this discord. I mean, look at the way we can’t even get through a nice dinner!” Isabel shook her head and said she thought we were pretty normal, that I was overreacting. Mark said that when he was a teenager he never said a word to his parents, what was I talking about? This is life with adolescents! Apparently they never read this. I insisted that I wasn’t a drama queen and she raised her eyebrows and smiled her sphinx-like smile and I went back downstairs to my computer and looked up “drama queen.” Those online dictionaries really need to get their acts together so people can quickly figure out whether they’re drama queens or not. Having studied all the various and conflicting definitions and read an appalling story about drama queens in Scientific American, I will say this: I’m occasionally a very small-time drama queen around the house. Many humans are. But a true drama queen? Courtney Love is a drama queen. Blanche Dubois is a drama queen. On a bad night, I’m an overemotional, slightly volatile pessimist. In a few weeks, I’ll be able to conduct this kind of vital research at my treadmill desk. Again, you make me fall in love with your hilarious misery. WHY CAN'T YOU LIVE IN "COME OVER FOR TEA" DISTANCE? Thanks for pointing to that kale salad recipe. I have kale in the refrigerator that I've been dreading, but now I will make that salad and be happy. Finally, I think all mothers have earned the right to be drama queens or "overemotional, slightly volatile pessimist" once in a while. YES you have earned the right! wallow in it. Ok, I will wallow in it! You're normal, enjoy it, because it passes so fast. That sounds old and trite, but my youngest moved out this summer, and man, is it weird to have a house with no teens after surviving four. I do enjoy this phase, if not as much as I enjoyed the elementary school years. Part of why I get emotional sometimes is that I start realizing it's almost over. The camel's milk is from an Amish dairy. It sounds very sweet and interesting, but the milk is being marketed (cautiously) as a cure-all for everything from autism to diabetes and that bothers me. First, you're clearly a great mother. Just the tone of how your teenage daughter speaks to you proves that. Second, I am beyond jealous of your fig trees. The figs are incredible. I've tried to grow figs since we first bought this house and was on the point of giving up when I put in these three trees just outside the fence along the road. 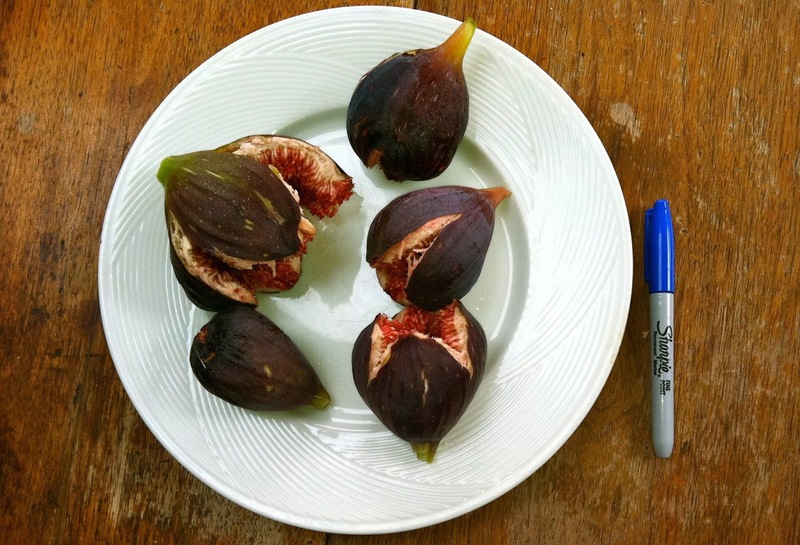 Each one of the big brown figs is like a meal. The green and black ones are smaller but sweeter. Now if only I could get a persimmon tree to thrive. I'd love to hear a report on the treadmill desk... I just started standing up part of the day at work (the corporate overlords don't spring for special equipment, so this is accomplished by propping everything up on reams of paper, which they supply in abundance) and it's amazing how it reduces pain and enhances attention span. I'll give a full report on the treadmill desk. Sometimes I work standing at the counter and it's not bad. I could probably just walk in place and it would have been a lot cheaper. So hard not to just eat the figs fresh. We're not quite at the point where there are bushels. Maybe in a few years. I am very eager to hear how you do with the treadmill desk. I switched to a standing desk about a year ago, also due to back pain, but I find myself split between working at my desk and carrying my laptop off so I can work while seated on the sofa. I do have a fitbit and can only imagine the pleasure I would taking in all the steps a treadmill desk would add to my daily totals. I had a fitbit but I lost it on day #4 -- it just fell off and never turned up again. But I remember well the satisfaction of watching the steps add up. I can't quite bring myself to buy a new one. I'm also considering a treadmill desk, for the same reasons you are, so I look forward to your review. I am definitely a drama queen at times around the house (especially in comparison to my stoic husband and daughter), and I relish it, though I like to refer to myself as "passionate". I just started reading your blog a few weeks ago, and I'm really enjoying it, so thanks for that. I think we're all drama queens at home. Passionate. I like that! I'm still trying out coconut sugar, the granulated kind. It's just okay! We, as mother's, are too hard on ourselves, drama queen, I think not!! Does the granulated coconut sugar taste any different? What other kinds of sugar are there? Palm, I know. Date. Clearly Isabel has never seen a Douglas Sirk or Joan Crawford movie. Fix that and she will understand that you are NOT a drama queen. You might add an Almodovar or 2 as well. You are simply her mother and she is 17. I always love your Douglas Sirk references. I want to go watch all his movies again. You could have made a treadmill desk in less than a day--even easier than the cob oven! Almost everything is easier than a cob oven! The label on that camel milk is very attractive though. 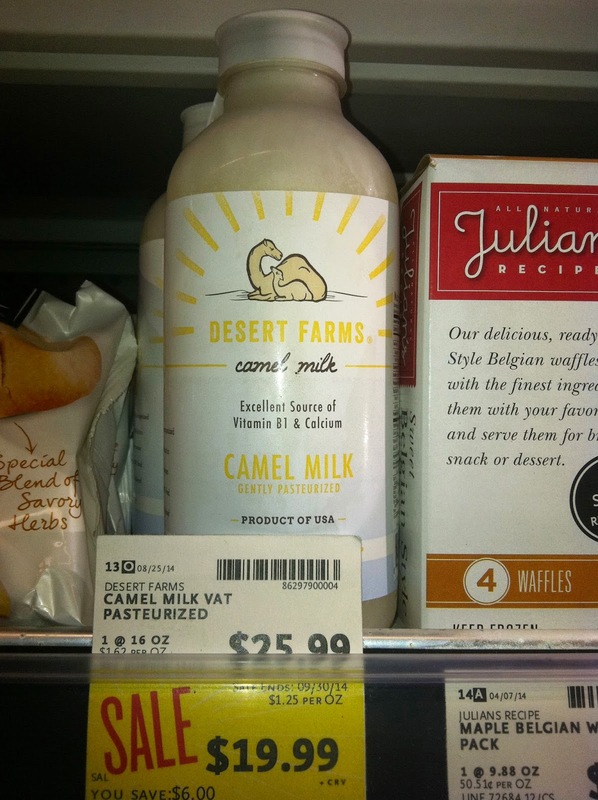 I'm not sure I'd want to drink it, but I'd love to visit the Desert Farm and see the cute camels, lol. I got a press release and it sounds like a sweet operation. Too expensive though, and they're marketing for its health-promoting qualities, some of which sound very questionable. I love how you stuck a sharpie in the photo for scale. Those figs are huge! I'm so glad someone noticed the Sharpie. Doesn't it look dwarfish? This post is so funny! I love the family insights posts. My 11 year old daughter has begun criticizing my clothing. I wear too much black, apparently, and look "goth." Can one become goth in one's 40's? If I can become a drama queen in my 40s, you can become a goth! Isabel used to criticize my clothes. I had this one puffy GAP vest that she particularly hated. She hasn't said much lately. Moved on. One of my teens eats with his face inches off his plate when he really likes the food. I ask him to sit up but am inwardly flattered that he loves my meal. I will look forward to hearing how the treadmill desk goes for you. I recently started wearing a Fitbit and have increased my walking on my regular treadmill to lots of cooking shows and sitcoms. Maybe I could be getting some of those miles in at my computer? Hmmm. I love your blog, and the bits in your book with Owen are so sweet and hilarious. The two of you strike me as being similar in the most wonderful and occasionally maddening ways - sorry he's being a bit of a turkey. Thanks for sharing - handy to remember when I'm down in the trenches with my own that I have my own funny stories to smile about. You know. When I'm not, uhhh, "worked up" !! All Leo's are drama queens. Be they toddlers, teens (the worst), adults or seniors. يمكنك من خلال خدمة نقل عفش مكة التخلص من مهمة نقل الاثاث المتعبة ، وكذلك ستتم عملية النقل بكل أمان وحرص.